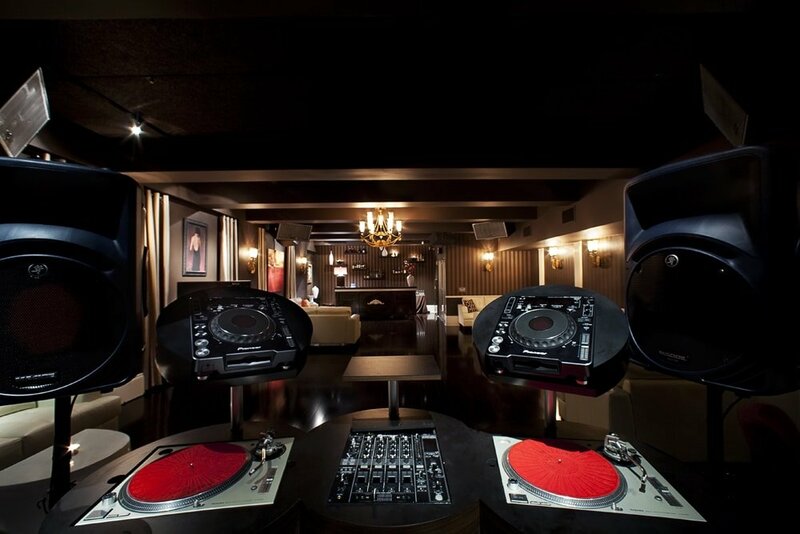 4Fourteen is an addition to Ruby Skye nightclub in Union Square, San Francisco. We took an old smoking room and turned it into its own nightclub. 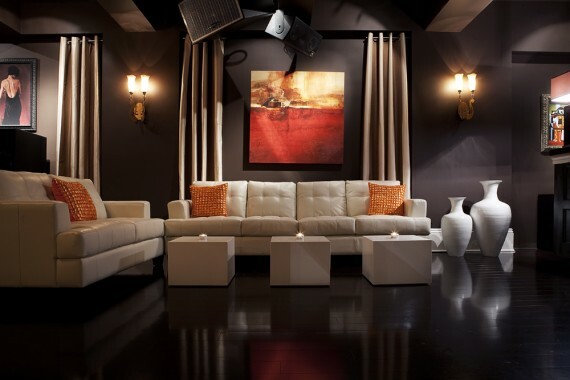 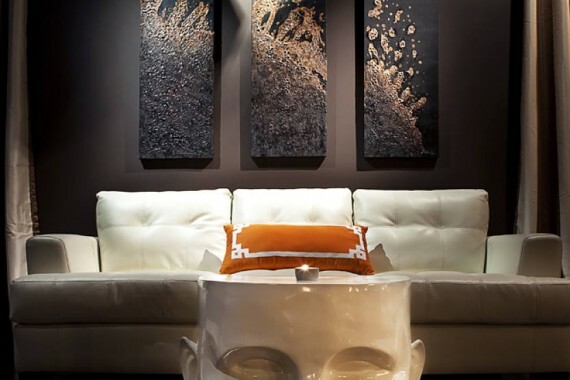 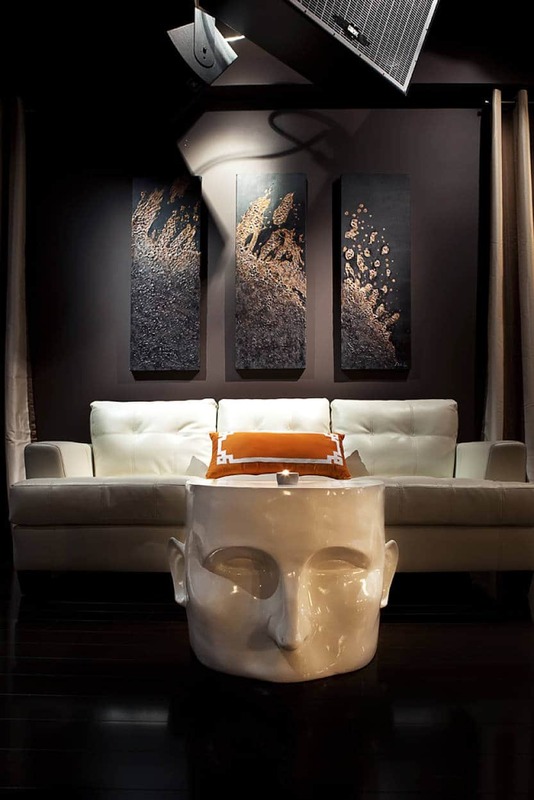 We gave this 2500 sq ft. space an elegant and modern feel. 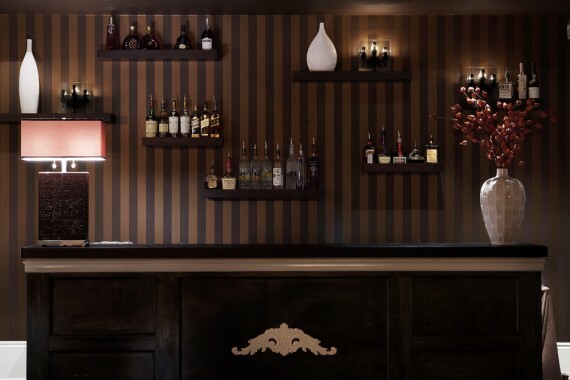 We added custom Plyboo hardwood flooring, installed striped wallpaper on two of the connecting walls, and painted the ceilings and adjacent walls a dark espresso. We kept the bar simple with dark espresso wood detail and a cream trim. 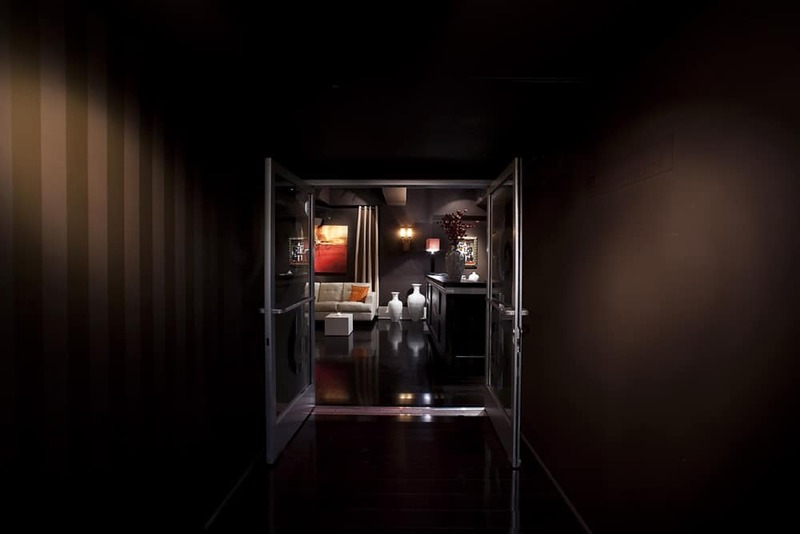 The lighting generates an intimate ambiance with traditional style sconces and a chic crystal chandelier. We had the room engineered to be completely sound proof. 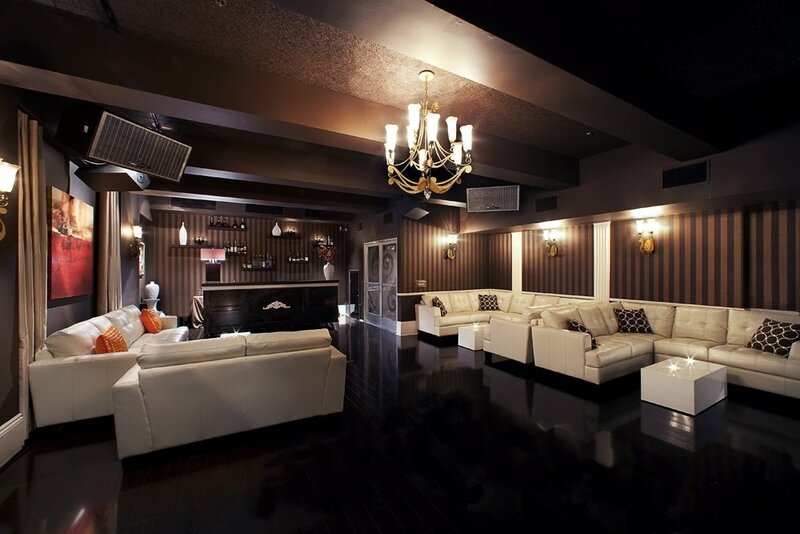 The ceiling product we used makes the space not only soundproof, but increases the sound quality of the club. We also created a separate temperature controlled room to keep the state of the art sound system from overheating.